The Virginian-Pilot recognizes top academic achievers in our community by publishing a special Scholastic Achievement section as a part of our Virginian-Pilot Scholastic Achievement Scholarship and Recognition Program. Area high schools nominate their scholastic team of sophomores, juniors and seniors for recognition based on academic excellence, leadership and service. If your high school would like to participate in our 2014 Scholastic Achievement program, please review the details below. 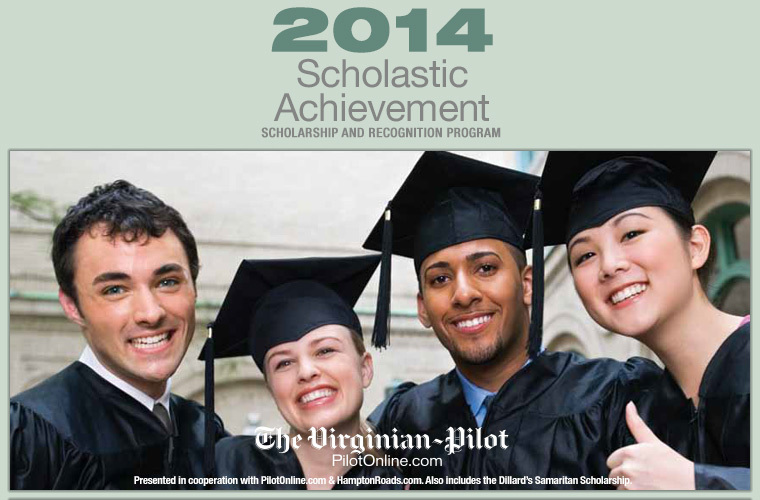 February 9, 2014 - Scholastic Achievement online application is open for submissions. March 10, 2014 - Online applications, scholarship dossiers, and Dillard's Samaritan essays are due. All senior photos are due at The Virginian-Pilot.